Practice Area: Driving range, short game practice area with sand bunker and a large, undulating putting green. Description: This former Carolina Trail course is about 10 miles south of the NC-SC border on I-77. It was designed by PGA Tour star Hale Irwin with the tee box names honoring his Major championship victories. 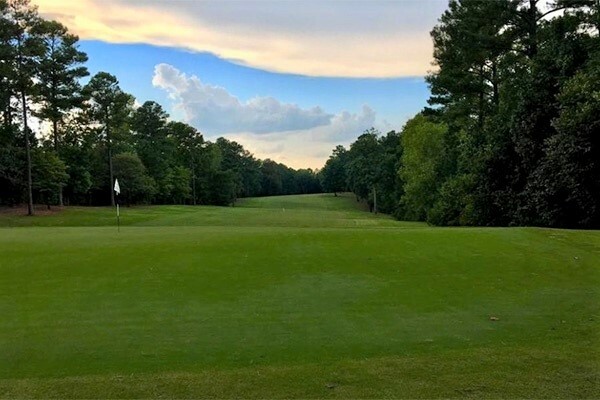 Nestled along the Catawba River, this layout plays difficult off the tee with marshes, wetlands and plain ol' water hazards threatening on a majority of the holes. Notes: Waterford came under new management in 2014 and memberships & discounts can now be shared across its former sister courses in the old Carolina Trail -- The Divide, Tradition, Highland Creek, and Birkdale. B-Man's Take: Nice course, but tough. If you are having trouble with wayward tee shots, stay away from Waterford or bring several sleeves of golf balls. I've played this course in a couple of tournaments and one 36-hole day on my own. The holes are all very unique and exciting to play, but you've got to be accurate off the tee. This course was in great shape every time I played it. I consider it the best maintained of the 4 main Carolina Trail courses (that excludes Highland Creek). My favorite hole is the 548yd par 5 2nd hole, simply because I play it well. The #1 handicap, 423yd par 4 13th hole lives up to its billing. Heavily sloped fairway is tough to land, then you have a long approach to a sloped green protected by a bunker and creek/ditch.